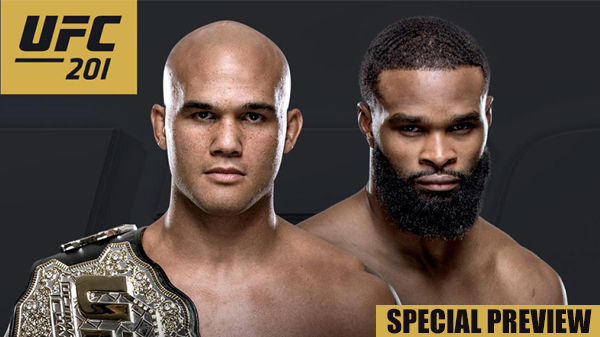 While UFC 201 is happening in the dirty south, the main event will have a Midwest feel, as welterweight champion Robbie Lawler (27-10) defends his title against Tyron Woodley (15-3). Lawler and Woodley, both 34, have connections to the St. Louis-area as Lawler once helped establish a gym in Granite City, Il., while Woodley hales from Ferguson and now owns his own gym in Brentwood. Woodley is also a former All-American wrestler from Mizzou after a stellar high school career at McCluer, where he won a state championship. UFC Hall of Famer Matt Hughes and Lawler originally founded a gym in 2007, along with boxing coach Matt Pena and wrestling coach Matt Fiore. "We all four started the gym with Jeff Cooper, who was the actual owner," Hughes said. "We all had the responsibility in starting that gym up, which was called the H.I.T. Squad, for Hughes Intensive Training." The gym is now called The HIT Squad. Hughes recalled first meeting Lawler when he was training in Iowa with Pat Miletich. "Pat said he had a wrestler who could use some help, so I went over to the high school and worked out with Robbie when he was a senior," he said. 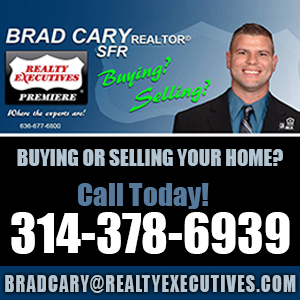 "I was coaching wrestling at Eastern Illinois University and I could tell the guy had potential. I knew nothing about his martial arts, all I knew about him then was his wrestling ability." Hughes worked with Lawler on his wrestling and taught him a few things. From there, the pair became friends, running and training together. "I just could tell he was a tough kid," Hughes said. Hughes said Lawler had the passion to be a champion as a teenager. "Robbie believed in himself," Hughes said. "Fighting is 50-percent mental and 50-percent physical and Robbie had the mental side of things. He believed in himself and he knew he was good. That translates into a good fighter." Lawler made his UFC debut at 20-years-old with a win over Aaron Riley at UFC 37. Lawler would win his next two fights in the promotion, beating St. Louis MMA legend Steve Berger and Tiki Ghosn. However, a 1-3 stretch would see Lawler released from the company. After success in Strikeforce, Lawler returned to the UFC in 2013. Now the welterweight champion, Lawler has not lost a contest in over two years and is riding a five-fight winning streak going into his title defense against Woodley on Saturday in Atlanta. If you ask Hughes, Woodley could be in for a rough night against the champion, who has made a name for himself by being one of the UFC's top warriors of the cage. "This could be a really bad fight for Tyron," he said. "I just don't know how he is going to handle Robbie. If it was a wrestling meet, Tyron would be in good shape, but it's a fight." Lawler's title defense against Rory MacDonald last summer is widely considered as one the top fights in UFC history. "It's definitely up there at the top," Hughes said. "It could be either one, two, or three. Nothing comes to mind as a better welterweight fight. No doubt about it, I can't think of anyone who wouldn't say it's in the top five of best fights ever." Many analysts feel MacDonald's career took a major hit after the beating he suffered at the hands of Lawler. Hughes agreed that Lawler has made a habit of destroying opponents. "I'm going to give you my opinion, Robbie ruins peoples' careers," he said. "Rory MacDonald is an example and Johny Hendricks is another example. Those two fighters aren't the same now. Robbie's gotten stronger and they've kind of fallen off the deep end. You don't want to go toe-to-toe with Robbie. I always tell people that Robbie Lawler is the hardest hitting guy I've ever seen." While Hughes seems extremely confident in Lawler's chances at UFC 201, Din Thomas, one of the top coaches at American Top Team in Florida, thinks Woodley could be the next welterweight champion. Woodley hasn't fought since Jan. 31, 2015. "He's been waiting for this moment for a long time," Thomas said. "I think that's how his nickname, 'The Chosen One,' came about. He truly believes that this is his destiny and he's been waiting for this moment for a long time." Thomas first met Woodley in 2006 at a fight in St. Louis. Woodley was an amateur at the time. "He saw me and asked me if I would corner him," Thomas said. "He ended up winning and at that moment we just connected and ended up building a relationship. We became friends and started training together and working together." Thomas, who co-hosts a podcast with Woodley called Morning Wood with Deez Nuts, said he knew Woodley was special from the first time they met. "I knew he had a lot of potential," he said. "I said to watch this kid Tyron Woodley, he's going to be a champion one day. Now we're finally in that position where we can make that dream come true." Thomas admits that Woodley has a tough task ahead of him in facing Lawler. "It's tough because Robbie is continually getting better," he said. "He's extremely dangerous and he's always one punch away from changing the course of a fight." Woodley is known for being a great wrestler, stemming back from his days at Mizzou, but Thomas said fans shouldn't sleep on his stand up game. "He's going to have to go out there and have a well-rounded attack," he said. "Robbie's so dangerous, you have to be careful that you don't get sucked into a fight that you don't want to be into. It's going to be tough, but we want to keep a well-rounded attack and let Robbie know that Tyron can fight too." One thing that Thomas pointed out was that a lot of analysts classify Woodley as just an athlete. "There's a lot of guys who think he's just an athlete," he said. "We want everyone to know that Tyron can fight too." Thomas compared Woodley's upcoming fight with Lawler to Amanda Nunes' recent win over Miesha Tate for the UFC Women's Bantamweight title. "She really felt it was her destiny to be champion," he said. "That materialized and the same thing, the feeling, the situation and the relationship I have with both athletes is kind of the same thing. I really have high hopes for Tyron coming up on the 30th." While some MMA fans may have liked to see Lawler face a different opponent, Thomas thinks this is a great matchup for fight fans. "This is a great fight from a fan's perspective because both guys have the ability to hurt each other at any given moment," he said. "We know that Robbie is a really dangerous guy, but Tyron is also a dangerous guy and you have to respect that." Lawler and Woodley will be the main event of a card that kicks off at 9 p.m., Saturday, July 30 at UFC 201 in Atlanta.